My story appears in today's print edition of The Orange County Register, and originally ran on the newspaper's Web site on Wednesday, July 30, 2014. 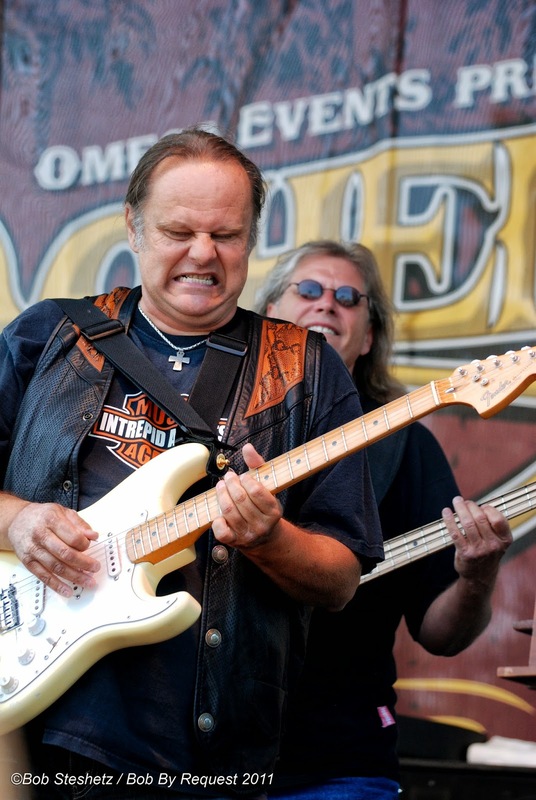 Walter Trout at Doheny Blues Fest in 2011. 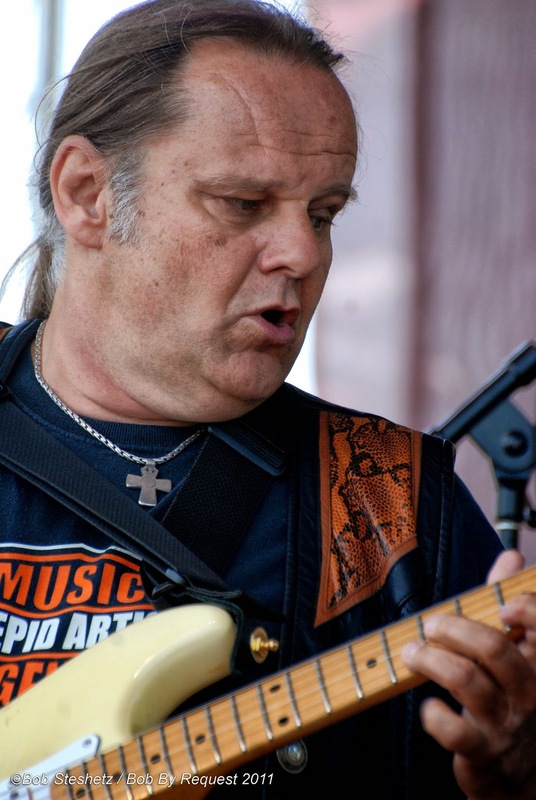 Life’s struggles have long fueled some of the greatest blues artists, so it’s no surprise that longtime Huntington Beach bluesman Walter Trout is making the most of his own challenges. After a lengthy battle with liver disease, Trout, 63, received a liver transplant May 26. His outstanding new album, The Blues Came Callin’, was recorded from April 2013 to January during the midst of his fight with the deadly disease. “I was in and out of Hoag Hospital and UCLA all during the recording of that thing,” recalled Trout. He received his transplant at the University of Nebraska Medical Center and is at a rehabilitation center in Omaha. Trout’s previous albums were typically recorded in a month or so, with his rhythm section going in and laying down tracks in less than a week and Trout then providing his powerful vocals and virtuoso guitar work to the brew before keyboards were added and the album was mixed and mastered. The Blues Came Callin’ took almost a year. 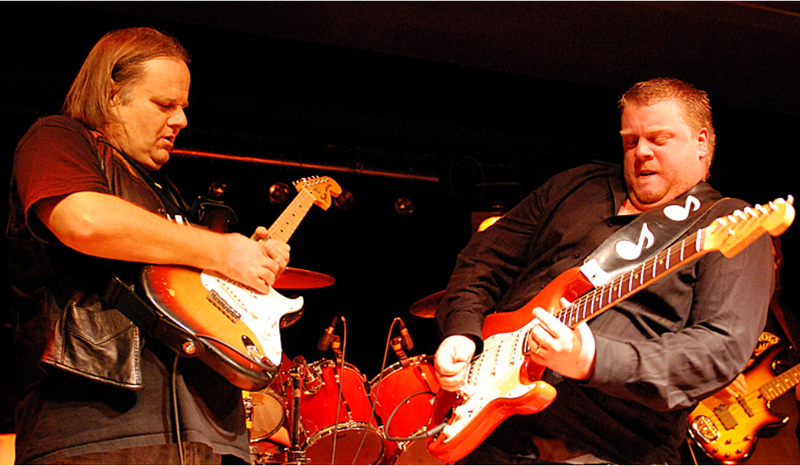 While Trout continues his recovery, his son Jon Trout, British singer-guitarist Danny Bryant and the Walter Trout Band have embarked on a short tour to celebrate Trout. The ensemble cast will perform at the Coach House in San Juan Capistrano on Friday night (August 1, 2014). 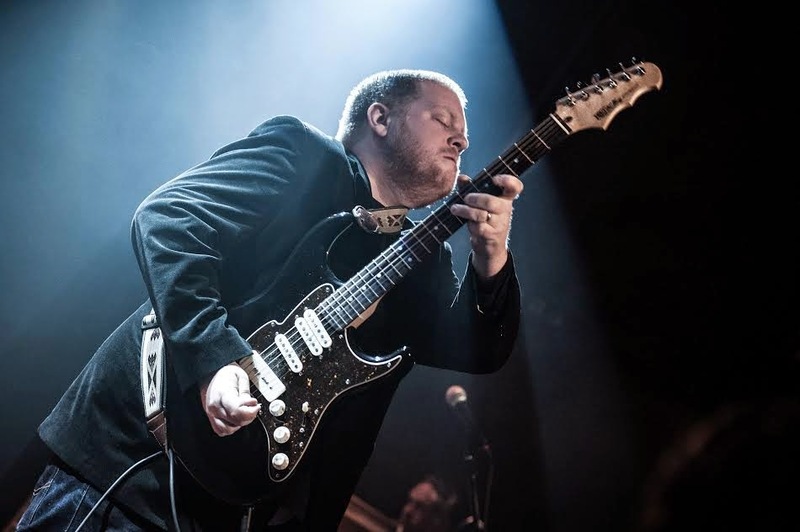 Danny Bryant, a bonafide legend in his native England, where he has been playing professionally since he was 18, was inspired to play guitar as a youngster after getting his parents to take him to see Walter Trout in concert. Bryant met Trout at the concert and a few weeks later mailed the guitarist a letter saying he had decided he wanted to dedicate his life to being a musician like Trout. Trout phoned the youngster and told him next time he was in England he would give him some guitar lessons. Keeping that promise was the beginning of a special relationship. “And so I actually sort of started him off and I’ve watched him over the years mature and develop into a really great artist. I think he’s a great artist. I’m quite proud of him. He’s almost bordering on being my fourth son,” Walter Trout said of Bryant. Bryant is thrilled to be able to perform in honor of his friend and mentor. Blues Festival in Dana Point in May 2011. As for Trout, although he had to cancel all his 2014 concert dates, he is working hard on regaining his strength and hopes to begin performing again next year. Anyone who has seen the master singer-songwriter-guitarist knows why. His wife, Marie, has been posting frequent updates on Trout’s battle and recovery from liver disease on WalterTrout.com. Here is a link to to read my full-length profile of Walter Trout that appeared in The Orange County Register is June 2008. Here is a link to a 2007 feature article I wrote on Trout that also appeared in The Register. Finally, you can read a review of Trout's latest album The Blues Came Callin' on the Music News Nashville site here. 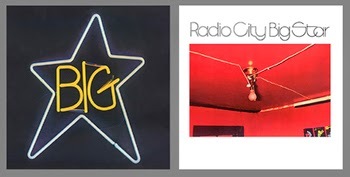 Big Star's '#1 Record' and 'Radio City' to be remastered and reissued by Stax Records later this summer! Stax Records will reissue two seminal albums by one of the most influential bands of the 20th century, #1 Record and Radio City by Big Star. #1 Record and Radio City will be available digitally in standard, mastered-for-iTunes and 24-bit high resolution audio. LPs of the two albums are presently in print, available via Stax Records. Liner notes by R.E.M. 's Mike Mills (a vocal fan of Big Star, as well as the core musician on the "Big Star's Third" concert series) will accompany the releases. Big Star, considered to be among the founders of power pop, has been cited as an influence by many of the major alternative bands of the '80s and '90s, and continues to be a powerful presence in today's musical landscape. Artists such as R.E.M., Teenage Fanclub, Wilco, The Replacements (who famously penned the song "Alex Chilton") and the Bangles all enthusiastically tout the artistic impact of the group. Mike Mills recalls Big Star is "a band who had gotten it right, who made records that sounded like rock and roll bands should sound. A band who wrote all the songs, from flat-out rockers to achingly beautiful ballads that were still somehow rock songs." For lots of more details, make sure to read the article posted earlier today on the Music News Nashville site here. Speaking of both Music News Nashville and Big Star, read my column that ran in MNN in December 2013 where I reviewed the Big Star documentary Big Star: Nothing Can Hurt Me. In addition to welcoming the continent-hopping collective Riddle & The Stars to the burgeoning Americana genre via their terrific debut, a strong field of artists have returned with noteworthy new releases. Tell me more: Few movements in modern music have been as rewarding as the explosion of Americana over the past decade. Extending the sonic soundscape first established by the likes of Neil Young, Gram Parsons and Emmylou Harris, modern-day heroes like Mumford & Sons, Trampled by Turtles and Johnnyswim have extended the reach of the genre in new and exciting directions. So too now have Australian singer-songwriter Ben Riddle and Huntington Beach, California-based outfit The Fallen Stars on the newly-issued collaboration This Is Happening. The sterling 12-track collection of authentic songs are enriched by a blend indie folk, alt country and roots music as Riddle and the Stars' talented tandem of Bobbo and Tracy Barnes each get to sing lead vocals while elsewhere they combine forces for some crafty harmonies (notably on the stirring title track). Highlights include the haunting "Favourite Photograph," reflective "Massachusetts," lovely "Stronger Than Steel" (inspired by the Kaylee Frye character on the cult sci-fi show Firefly) and epic "Dam." Note: This Is Happening isn't scheduled to be released until August 2014, but you can get the first single "Chance" via the link listed below. Information: thefallenstars.com. Tell me more: Rarely is an album as interesting or confessional as California singer-songwriter Jenny Lewis' The Voyager. The former singer of Rilo Kiley, Lewis is not afraid to explore and share the deepest reaches of her soul as evidenced by a range of songs offered in different musical styles with lyrics that clearly reflect her own experiences with a rich honesty that is never less than inspired. The evocative "She's Not Me," bouncy New Wave-tinged "Head Underwater" and baroque pop gem "Late Bloomer" are among the wonderful songs on this outstanding album. Information: jennylewis.com. The Voyager is set to be released on Tuesday, July 29, 2014. Tell me more: Tom Petty & the Heartbreakers' 13th album Hypnotic Eye not only rocks with abandon but mostly recaptures the youthful spirit of the Florida-spawned ensemble's best '70s and '80s efforts. From the mighty opener "American Dream Plan B" and sparse "Full Grown Boy" to the rollicking "All You Carry" (you have to love Mike Campbell's guitar work in this one) and similarly fierce "Forgotten Man," there is a vibrancy and power that defies the group's "classic rock" moniker. What's more, the edgy "Fault Lines" could have fit in as a track on the Beatles' "White Album," with its savage John Lennon-styled guitar licks and confessional core. Information: tompetty.com. Hypnotic Eye is set for release on Tuesday, July 29, 2014. Tell me more: While British rock artists such as The Beatles and Rolling Stones have achieved widespread acclaim in the U.S., outstanding U.K.'s exports including Blur, Keane and Porcupine Tree have been mostly overlooked here. Add to that essential-listening list the pioneering Aylesbury, Buckinghamshire legend Marillion. The band's newly-released double-album A Sunday Night Above the Rain features the stellar neo-progressive alt rock troupe captured in action in the Netherlands on March 10, 2013 playing all eight songs from their 2012 studio disc Sounds That Can't Be Made as well as long-time favorites including "Garden Party" and "This Strange Engine." Information: Marillion.com. Tell me more: Anyone questioning the foundation First Aid Kit — Swedish sisters Klara and Johanna Söderberg -— set on their 2012 debut, need listen no further than their aptly-titled sophomore effort Stay Gold. The Stockholm-based sisters continue to blend artful and melodic song craft with voices that harmonize in infinite magical ways that haunt and soar simultaneously. There is a slightly edgier approach this time around, both in the lyrics and music making that will further excite the faithful. Standouts on the 10-track disc include the sorrowful "Cedar Lane," the probing "The Bell" and mournful romantic epic "A Long Time Ago." Information: thisisfirstaidkit.com. Tell me more: As modern as it it retro, Michael Lington's Soul Appeal boasts 11 accessible and grooving tracks that blend Memphis soul, funk and R&B. A skilled threat on alto and tenor sax player, Lington shines every step of the way without stepping on the talented cast of players around him. Most of the disc shines with instrumental tracks, although the '70s-mining romantic song "Gonna Love You Tonight" features Kenny Lattimore; "Leave Me You" (co-written and sung by Ryan Shaw) is one of those kind of timeless ballads that Sam Cooke could have hit out of the park half a century ago. Information: MichaelLington.com. Good afternoon everybody. Ready for your afternoon round-up? Jack White, Neil Young and Willie Nelson will be featured at Farm Aid 2014. Read more here at the Paste site. The Orange County Register has a feature story on Carlos Santana. Please note, you must be a subscriber to read the story (which is behind a paywall). Yikes! 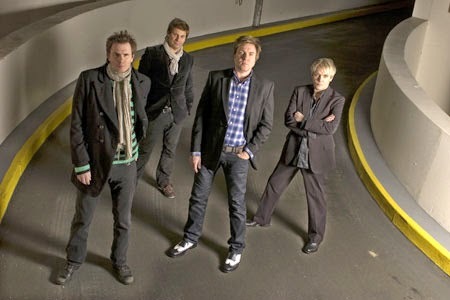 Duran Duran is taking its own fan club to court! Read the latest in Spin here. Make sure to read this feature story on Jenny Lewis if you are a fan of the singer-songwriter. "Weird Al" Yankovic hits Number One on Billboard. Read the L.A. Times article here. 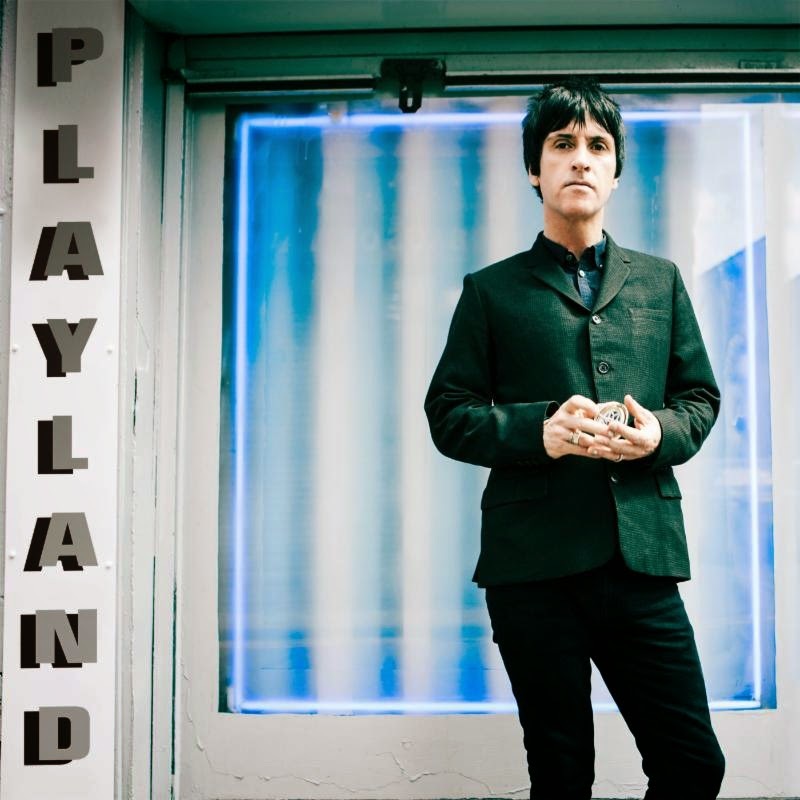 Johnny Marr has announced the release date for his second solo album Playland,which is set for release on October 7 via Warner Music Group, and available for pre-order now on iTunes and Amazon. Last year, the legendary guitarist for The Smiths enjoyed a monumental start to his solo career with an abundance of critical acclaim (including the honor of being named NME's 'Godlike Genius') for his Top 10 debut solo album The Messenger. Meanwhile, his shows were celebrated for his ability to combine the best of his new material with select highlights from The Smiths, plus others from his extensive back catalog. Johnny Marr's upward trajectory continues unabated with the release of Playland. Work on the album commenced in London in spring 2014 as soon as the year of touring in support of The Messenger came to a close. It finds Marr continuing the creative connection that was forged on The Messenger with collaborator and co-producer Doviak, as well as the other musicians who performed on the album and accompanying tour. As Johnny states,"When 'The Messenger' came out I kept on writing. I liked that the band had a momentum going on tour and a connection with the audience, and I thought that energy would be good to capture on the new record." Written around a common theme of "songs that move at the speed of life," 'Playland' captures much of the spirit that made The Messenger so memorable with energetic, post-punk songwriting complemented by Johnny Marr's characteristic guitar style, thought-provoking lyrical ideas and poised vocal phrasing. "It's important to sound like your environment and on this record that's London and Manchester," he adds. "The feeling of the cities and the people make it into the music." One of Marr's favorite performances of 2014 to date came when he performed at the premiere of The Amazing Spider-Man 2 in New York City. His contributions to the film's soundtrack (scored by Hans Zimmer) included a songwriting collaboration with Pharrell Williams, while he also performed the closing credits theme song "It's On Again" with Alicia Keys andKendrick Lamar on The Tonight Show with Jimmy Fallon. Johnny toured extensively in support of 'The Messenger' with highlights including three sold-out shows in Manchester; major London dates at The Roundhouse and the O2 Shepherd'sBush Empire; as well as festival appearances including Glastonbury, Reading, Leeds and T in the Park. His next UK headline tour includes his largest London solo headline show to date at the O2 Academy Brixton and also features a homecoming show at the O2 Apollo Manchester. Long-time fans of YES will be more than thrilled to get "Songs From Tsongas - The 35th Anniversary Concert" when it is released on Sept. 23. Here is the media release including the track listing for the various formats, and a look at the cover artwork for the title too! 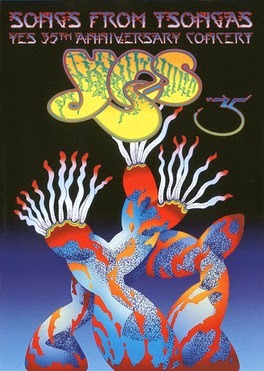 New York, NY (July 21, 2014)-- Eagle Rock Entertainment is proud to announce the September 23 simultaneous release of Yes’ Songs From Tsongas - The 35thAnniversary Concert - Special Edition on 2DVD, Blu-ray, and Digital Formats, and the first ever release of Songs From Tsongas as a 3-CD set. As a Bonus Feature, the DVD includes another track “Ritual,” also filmed at the Tsongas Arena, and an insightful interview with legendary designer and Yes collaboratorRoger Dean who created the brand new stage set for the shows. Summer 2014 continues to yield musical pay dirt thanks to the far-flung talents of singer-songwriter Morrissey, heartland hero John Hiatt, Americana trio Puss n Boots and synthpop outfit Magic Man. Tell me more: It would be impossible to find an artist as adept as Morrissey at tapping into their biggest self doubts and fears while also being able to confidently poke their finger into the collective eye of humanity. The former Smiths frontman may be 55, but sings with the nuance and force of someone half his age on his new disc World Peace Is None of Your Business. There is simply no subject off limits and just about everyone will likely be offended somewhere along the way; the title track questions the success of mass protest and even voting, the decidedly-Smiths sounding “Staircase at the University” looks at student suicide, while “The Bullfighter Dies” champions the bull over the matador. And the music across the disc is glorious, with an intoxicating mix of alt rock, flamenco, post-punk and art damage providing the perfect backdrop for the confessional icon to sing away. Information: harvestrecords.com. Tell me more: Keeping it real is in John Hiatt’s DNA. One of America’s greatest living songwriters, his newly-released Terms of My Surrender marks another essential sonic incursion by the Indiana native. Mortality is tackled on “Long Time Coming,” probing look at faith via the acoustic blues of “Face Of God” and haunting gospel-tinged Delta ode “”Wind Don’t Have to Hurry.” The beautiful title track looks at love with depth wonderfully at odds in an age where the world seems to live for the moment. A much-recommended deluxe edition of Terms of My Surrender (available via Amazon.com) includes a bonus DVD with a live performance by Hiatt captured at the Franklin Theatre in Franklin, Tenn in 2013. Information: JohnHiatt.com. Tell me more: Noted singers Norah Jones, Sasha Dobson and Catherine Popper having been working together since 2008, but only now have released a full-length LP. No Fools, No Fun showcases the three talented artists (dubbed Puss n Boots) playing a variety of instruments and singing with tangible warmth. Among the best songs on the wonderful collection is a sparse acoustic take on Robbie Robertson’s “Twilight,” a high kickin’ country foray on the original Norah Jones gem “Don’t Know What It Means” and a haunting translation of Neil Young’s classic “Down By the River” recorded live. Information: BlueNote.com. Tell me more: New England-based Magic Man is more than simply another entry on the burgeoning neo-New Wave synthpop movement. The group’s Columbia Records debut Before the Waves boasts the upbeat indietronica-pop of “Out of Mind,” decidedly melancholy-rich strains of “It All Starts Here” and melodic perfection of “Paris.” Produced by Alex Aldi (Passion Pit, Holy Ghost! ), “Before the Waves” is bound together by Alex Caplow’s shining vocals. Information: MagicManMusic.com.